Hayley Kiyoko grooves along with the crowd while performing her debut set at the 2018 Coachella Valley Music and Arts Festival at the Empire Polo Field on Sunday (April 15) in Indio, Calif.
“The first time I went I was 13, and I remember coming home to my parents and telling them that my dream is to perform at Coachella,” the 27-year-old musician told LA Weekly before her performance. After she performed, Hayley joked that she actually blacked out! 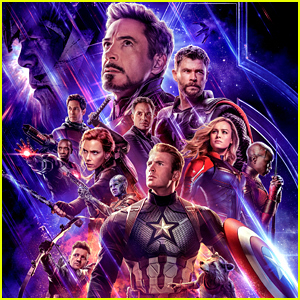 Check out the video below now! Justin Bieber is being hailed a hero! The 24-year-old singer stepped in to help a woman from being attacked by her ex boyfriend at a Coachella party Saturday night (April 14), TMZ reports. 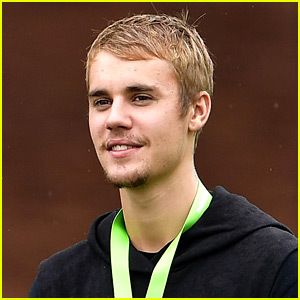 Justin was at a party on Saturday night (April 14) hosted by pal Patrick Schwarzenegger when a man – who appeared to be on drugs – walked in and went ballistic on a woman believed to be his ex-girlfriend. Eyewitnesses say the guy was grabbing the woman by the throat when Justin and his pals screamed at the guy to let her go. When he wouldn’t, Justin hit the guy in the face and pushed him against the wall allowing the woman to break free. The guy was then kicked out of the party and arrested shortly afterwards. Kendall Jenner is all smiles while snacking on McDonald’s fries at the Bootsy Bellows Pool Party hosted by McDonald’s and PacSun on Saturday afternoon (April 14) in Palm Springs, Calif. The 22-year-old model was joined by tons of friends including Hailey Baldwin, Bella Hadid, Gigi Hadid, Chanel Iman, Jasmine Tookes, and Justine Skye as they attended the party held during Coachella. Also in attendance at the party was Kendall‘s ex Blake Griffin. The two reportedly avoided each other at the party after their relationship reportedly “cooled off” earlier this year. 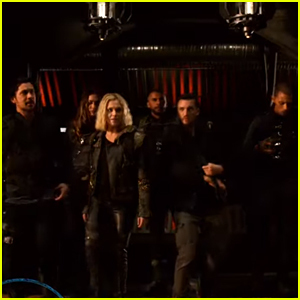 It’s not a party until the Thorne sisters arrive! Bella Thorne and big sis Dani were spotted checking out the shows at Coachella on Saturday night (April 14) in Indio, Calif. The 20-year-old actress looked cool in a diamond headband and an all red outfit while her 25-year-old DJ sister went bold in a neon blue bikini top with crystals glued to her forehead. Also joining the ladies at the event was Bella‘s boyfriend Mod Sun. The following day, Bella took to Instagram to share a selfie with a friend from their night of fun! “Boo thang on a Sunday 😍,” Bella captioned the below pic. Kylie Jenner Shows Off Latest Coachella Look - Denim Blue Hair! Another day, another new look for Kylie Jenner! The 20-year-old reality TV star and lip kit mogul took to Instagram on Sunday afternoon (April 14) to debut her latest hairstyle as she prepares for day three of Coachella. 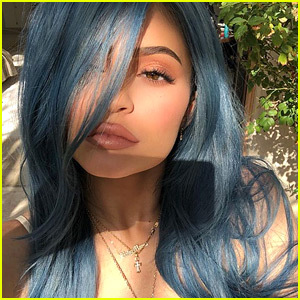 “Denim blue,” Kylie captioned one of the selfies of her new locks. On Friday, Kylie showed off her neon pink hairstyle as she got ready to hit up a couple of parties during the music fest. Kylie and boyfriend Travis Scott were spotted partying with tons of famous friends on Day 1 of the festival. Check Kylie‘s new look in the gallery! Gigi Hadid is all smiles hanging out with designer Jeremy Scott at the Moschino x H&M Desert Party on Saturday night (April 14) in Indio, Calif. The 22-year-old model looked so cool in a CD-printed outfit and thigh-high black boots as stopped by the Coachella party. Other stars at the party included Paris Jackson, Tommy Dorfman, Gigi Gorgeous, and Emily Ratajkowski. Earlier this week, Gigi‘s stunning Harper’s Bazaar cover was released!